Hair restoration is one of the most popular aesthetic procedures world wide in males.The techniques of hair transplant were traced back in the 1950’s, when doctors discovered that the transplanted hairs would survive in the recipient areas just like the natural hair on the donor site. Following the next 30 years, the procedure yielded only minimal results and did not produce aesthetically acceptable outcomes. With the modernization and latest technology of this era, The hair transplant procedure has acquired a new life and totally suffice the aesthetic demands. Hair restoration is a process of transplanting hairs into the bald area. Every human scalp possesses Follicular Units in a group of 1,2,3 or 4. Generally in the hair transplant procedure; the Follicular Units are harvested from the donor area (permanent hair zone, i.e. back and sides of the scalp) and then placed in the recipient area. The natural hair transplant results accumulated; when the transplanted hair after the surgery looks alike your natural hair (the angle & direction are accordingly to the natural hairline). In order to extract the potential grafts from the donor area and to place them in the recipient area by maintaining a natural hairline direction; a specialized skill surgeon and technical staff is required to generate such an optimum hair transplant surgery outcome. The hair loss or hair thinning issues are common in male and female. 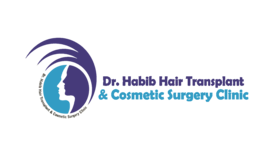 Hair transplant has been widely practiced all around the world to treat the baldness; which is a stressful condition because it challenged the aesthetic appearance and personality. Hair transplant in Pakistan has also gained popularity for the similar reasons. Every person dealing with the hair loss and baldness wants to revive the hairs because they want to sustain their personality, charm; which gets highly compromised by the baldness. For hair transplant ,Peshawar Pakistan is considered as an ideal place because it serves as the hub city for hair transplant clinics. 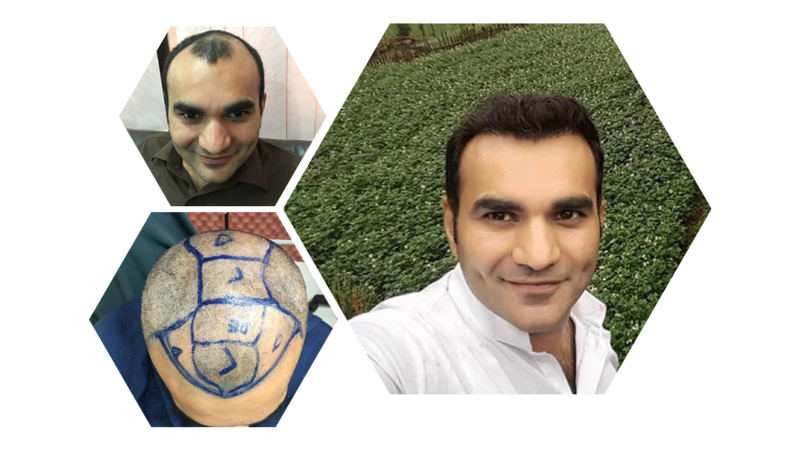 Dr Habib Ullah Shah is qualified plastic and cosmetic surgeon who is providing state of the art hair transplant of international standards in Peshawar Pakistan, and an exceptional service in the cheap price for 2 decades. The surgery of hair transplant is a less invasive cosmetic procedure and with the advancement of technology and modernization the procedure becomes less painful with great results. Follicular Unit Extraction (FUE) is actually a method of extracting hair follicles from donor area for hair restoration. In an FUE hair transplant method, an instrument(punch) is used to create a small, rounded incision inside the skin around a follicular unit, isolating it from the skin and dermis. The hair follicle unit is then removed (plucked) directly through a specialized instrument , leaving behind a smaller and fine hole. Hair transplant surgery is widely used to rejuvenate the hair growth permanently and to counter the hair loss or baldness issues. As the technology revokes each and every day; hair transplant techniques and methods are also getting advanced to make the surgeries comfortable and less painful for the patient. 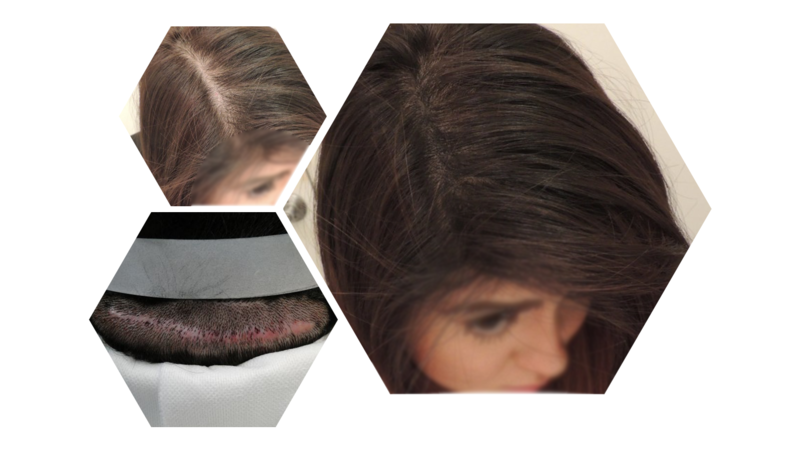 Around the world and in Pakistan as well; the hair transplant is usually performed with the two well-known methods, the traditional method of follicular unit transplantation (FUT) and the modern method follicular unit extraction (FUE). In all the procedure one thing is common; that the transplanted hair remains with you permanently (life-long), even when your other hairs fall out. The researchers and various hair restoration surgeons are still working; to find new techniques and methods of hair transplant which minimized the pain, make the procedure more comfortable for the patients and to get more optimum surgery outcomes. If you are searching for the permanent solution for hair loss and baldness then you have come to the right place. Dr. Habib Ullah is highly qualified and experienced hair restoration; acclaimed worldwide for his aesthetic hair transplant surgery. Many clients came from abroad to get the hair transplant in Pakistan by Surgeon Habib Ullah.